I didn’t write this article but I had to share it with you. It is that good, and puts many things in perspective. Thank you One Busy Mom of Three for this post. It accomplishes little in paving the way for other changes.Organizing may provide a temporary lift to our attitude. It clears a room and subsequently clears our mind, but rarely paves the way for healthy, major lifestyle changes. Our house is too small, our income is too little, and we still can’t find enough time in the day. We may have rearranged our stuff… but not our lives. I would love to hear your thoughts. Have a ThirtyOne-derful day! The movers were arriving in less than 10 days, and I still had so much to pack. Shipping boxes, wrapping paper and rolls of tape were everywhere. Every room in our house begged for attention, and I didn’t know which direction to go first. Downsizing wasn’t fun, but it was necessary. With a squeezing economy and company cutbacks, our family made the difficult decision to sell our home and minimize our debt. Deep inside I knew it was the right choice, but the process was hard. And although I tried to put on a happy face, my heart was aching. I dragged myself from room to room, pouting every step of the way. I stared at the massive amount of accumulated stuff, and it totally overwhelmed me. Clothes, furniture, linens, accessories … and enough kitchen appliances to open a community diner. Bulging closets and overflowing dresser drawers reminded me of past shopping sprees where I’d picked up many of the items. And now I was blaming the early-bird door busters and all those neon clearance stickers that lured me in the first place. I had prided myself on all the money I saved buying everything on sale. Who was I kidding? The truth was our checking account balance was shrinking, yet I wanted to buy new things. All the while, insisting these were purchases we needed. But now, all those bargains had to be boxed up, moved and put into storage. My “treasures” had become burdens. As I looked around at all the clutter, I wondered if it was really my heart, not my home, that needed to be de‑cluttered. God spoke to me that day with gentle conviction. It was time to stop making excuses for buying so much and be content with less. A lot less. Kneeling in my storage room, I prayed and asked God to forgive me and help me change. Not just for a season, but as a new way of living. When the movers arrived, everything was boxed and ready to go. Instead of heading to a storage facility, we delivered most of those boxes to a local children’s home in desperate need of household items and clothing. It felt freeing to give away more and keep less. To experience the Giver instead of holding on to the material gifts. To trust God’s provision and stop worrying about having enough. To simply be content. Maybe sometimes you struggle with contentment, too. Do you ever find yourself buying something you really don’t need? I know … it was probably on sale, right? The cure to discontentment is not found in acquiring more things. It’s found in experiencing more of God’s presence. Remember what He promises in today’s key verse, “I will never leave you nor forsake you” (Hebrews 13:5). Perhaps God is asking you to keep less and give away more. To be content with what you already have and not feel the urge to buy more. Friend, don’t fall for the lies I did. Trust God will provide what you need when you need it. If you have extra items, consider giving them away to someone else and experience the weightless freedom of being content with less. Thank you LEAH DIPASCAL for today’s message. Have a ThirtyOne-derful day! Does Spring and warmer weather bring thoughts of cleaning out? You know “de-cluttering” all of that stuff that had been gathering over the winter. Our garage is my “clutter spot”. I can’t wait to get in there and clean out the mess. Many would say that a cluttered space = a cluttered mind. I would have to agree because when my office is a HOT mess – I can’t work or even think about what needs to be done. The thing is, though, he recognizes that mental clutter leads him down this rabbit hole of stress and torment and away from focus, calm, and productivity. 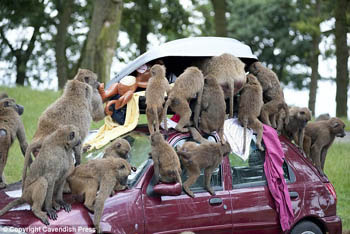 Do you recognize when the monkeys have taken over and you are feel like you are in a rabbit hole of stress and torment? A great list of ideas but if you are like me the biggest obstacle is to “LET IT GO”. Yes, I am sitting here humming the song to myself. The key is that we need to de-clutter our minds more often. As we approach the weekend with an endless list of chores, errands, incomplete work, or kids activities – take a moment to de-clutter. Make a list of all that needs to be done. Prioritize that list. 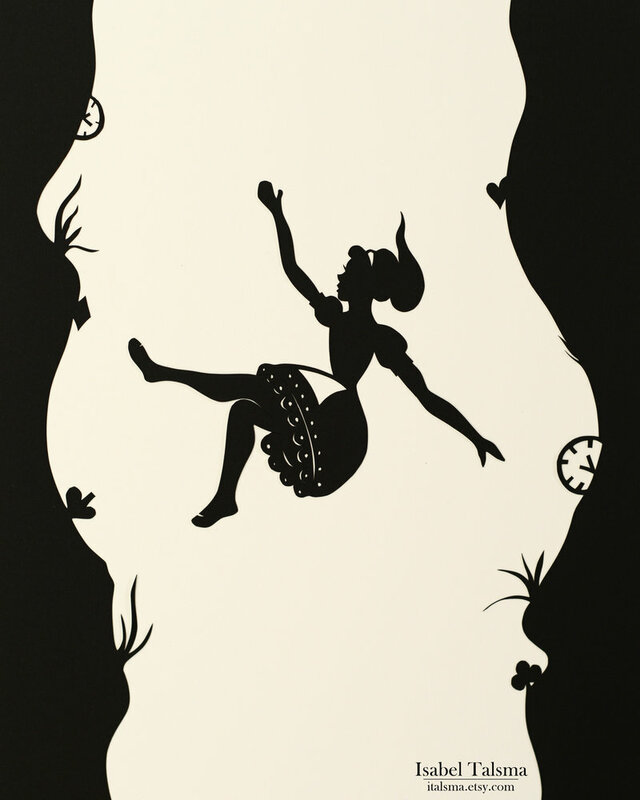 Novel concept – ASK for help (that is part of letting go). Then be kind to yourself. I mean what is the worst that could happen if something on the list doesn’t get done – BE HONEST! Deep breathing, yoga, long walks, running, swimming, or even meditation are magnificent ways to de-clutter your noggin’. This is also a great way to be kind to yourself. You will be surprised at how much focus and energy you have when you take some time to gain perspective an de-clutter. 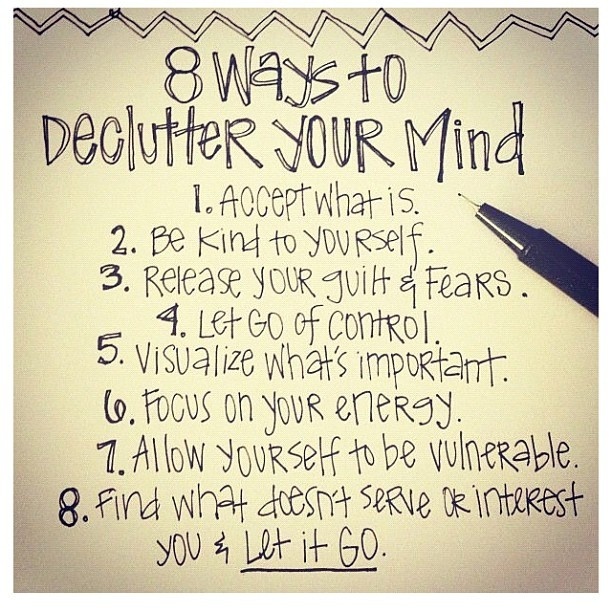 So, who is ready to de-clutter their mind before the weekend? Share with us how you de-clutter or de-stress. Organized Diva or Hot Mess? Over the last few weeks, I have been working on a business plan where the FIRST question that they asked is “What are you selling?”. For those of us in direct sales, that seems like a no-brainer, right? We give the pat answer of what our company sells and if people have heard of the company, they have an already pre-conceived notion about your products. I CELEBRATE, ENCOURAGE & REWARD hard-working women with simple solutions to life’s organizational challenges while offering them an opportunity to reach for their dreams personally or financially. Now, I have changed the perception from “just purses” to something that may be a little bit more appealing to everyone. So, in an effort to provide simple solutions – here is my first “organizational tip” – 10 minutes a day to DE-CLUTTER. I know you are wondering what 10 minutes a day can do, right? Pick a spot that needs to be organized – a drawer, a closet, a corner of the room – I will talk about the desk in your office tomorrow. Clean out the junk drawer in the kitchen – it is amazing how completing one small project can give you a sense of accomplishment AND feeling of knowing where things are when you need them. You can read more about the Declutter Challenge on The Peacefulmom.com. She writes about saving money, getting organized and enjoying life. What about the linen closet? I know, the door is closed and no one sees it, right? Wouldn’t it be nice if you could open the door and find ANYTHING you wanted? Better yet, wouldn’t it be nice if the kids or hubby opened the doors and didn’t yell for you because THEY couldn’t find something? 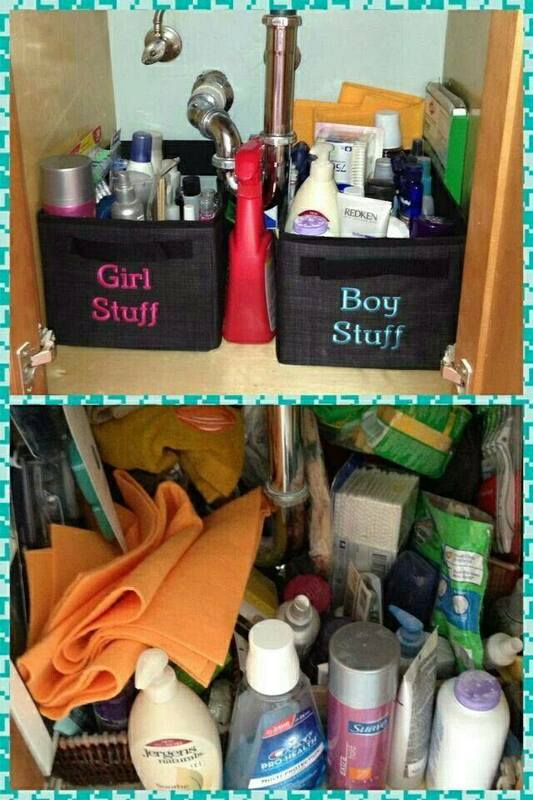 What is your vision of organized in your home? Let me help you with that vision so that you are not a HOT MESS but the envy of friends and family who want to be organized – like you! 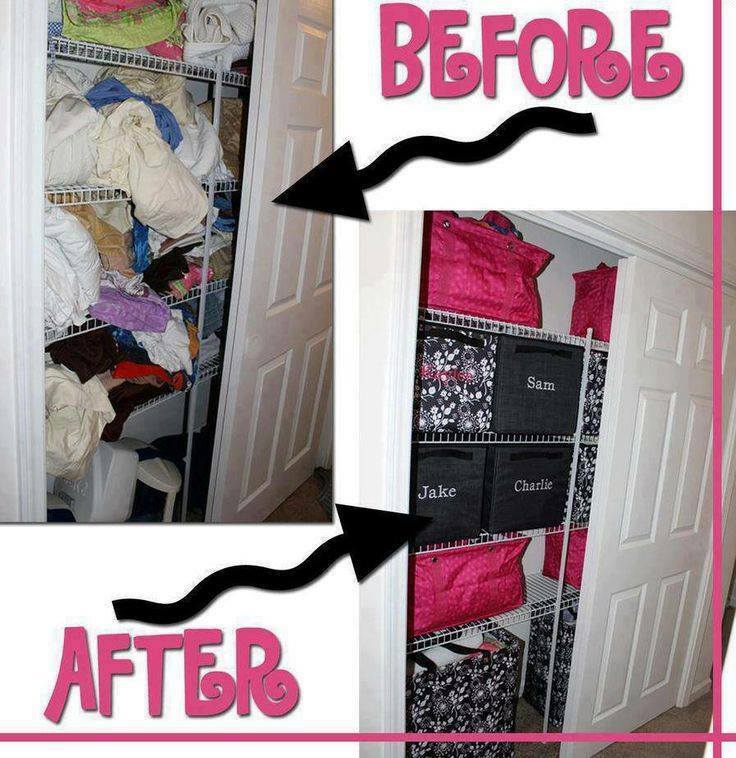 I would love to have you share YOUR organizational tips. Have a ThirtyOne-derful day!